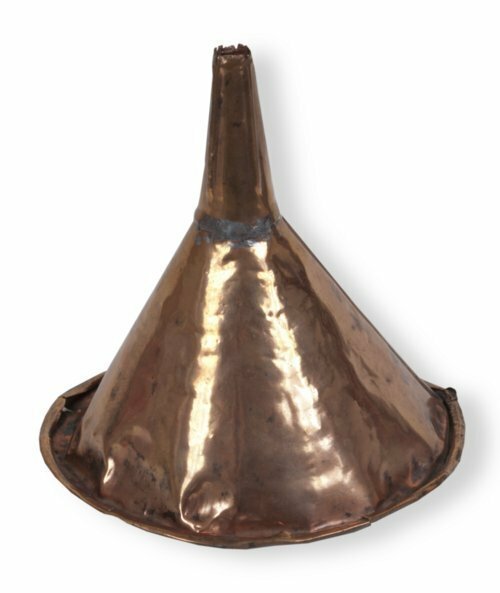 Copper funnel used for the distillation of bootleg alcohol. Francis "Tim" Bannon, a lawyer and district judge, acquired this funnel following a criminal proceeding in Leavenworth, Kansas, which required its seizure as evidence. From 1880 to 1948, Kansas established early and lengthy Prohibition laws that led to some of the most restrictive alcohol legislation in the nation. Though federal Prohibition ended in 1933, the unlicensed production of alcohol is still illegal. Bannon probably acquired this item in the early 1930s.